I wanted to change things up with my Friday Favorites posts and share some of my favorite books I have read in 2012. I love books and I am always looking for suggestions, so I figured I would pay it forward and share some suggestions of my own. I may continue to share book reviews from time to time and am open to suggestions as well. Please feel free to share some of your favorite books in the comments. This story is set around a historic mansion in the Blue Ridge Mountains of North Carolina - The Blue Ridge Madam. This home originally belonged to Willa Jackson's once well-to-do family, but has since then sat empty. One of Willa's old classmates from high school, Paxton Osgood who is also a socialite/do-gooder in the town and from the very prominent Osgood family, is working on restoring the mansion to its former glory. During the process they find out that the mansion has some skeletons in its closet, literally, when a skeleton is found underneath the old peach tree in the front of the mansion. This mystery of the murder pulls the two girls together to figure out the truth of what really happened at the house while also causing them to discover the bond that their grandmothers had together with each other and with the skeleton that was found. 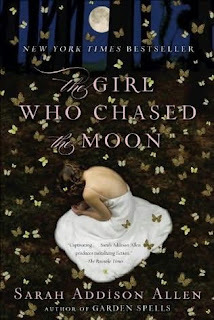 I really love this author because her books are very whimsical and they full of magic, superstitions and southern charm. 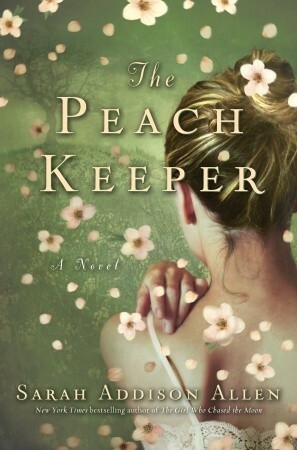 This book is also by the same author as The Peach Keeper, and I think I enjoyed this book even more than the other one, although both were really good. In this book, Emily Benedict comes to Mullaby, North Carolina to live with her grandfather and learn a little bit more about her mother who has passed away. Her mother had left Mullaby before Emily was born and really had no contact with her family members, so everything is very new to Emily when she comes to town, including this new relationship with her grandfather, who is probably the tallest man alive. Emily learns that things are very different in Mullaby when she notices that the wallpaper in her room changes with her mood, the fragrance of fresh baked pastries float through the air, and magical lights dance across the town at night. What I loved most about this book was it's whimsical nature and that the most unexpected things were kind of expected in this town. It really made me want to move to this comforting little town of Mullaby, NC. Emma Guthrie has just dropped out of college after losing her scholarship, is job-less, and has no idea what her future holds. She lands a job as a Production Assistant on a big movie, and ends up catching the eye of Garrett Walker the lead actor. He whisks her off her feet, despite her reservations and they quickly fall in love. After being thrown into the life of being wife of an A-list actor, she ends up writing a screen play based on the story of her life which becomes a blockbuster sensation. Things are going great for Emma until she finds out her husband has been cheating on her with her best friend and old college roommate whom she was living with when she met Garrett. Emma is devastated and flees to a resort in Mexico to get away from the paparazzi and to recapture her dignity. While here she starts taking surfing lessons from a hot surfer guy who also teaches her to enjoy the simple joys of life and to love again. I follow Katie Lee on Twitter and I kept seeing tweets promoting this book. I knew she had written a cook book a while back, so I really had no idea what type of book this was until I picked it up from the library. I was pleasantly shocked that is was a really good book and I couldn’t put it down.